If you are hanging any type of wallpaper, making a good clean cut can make or break a job. 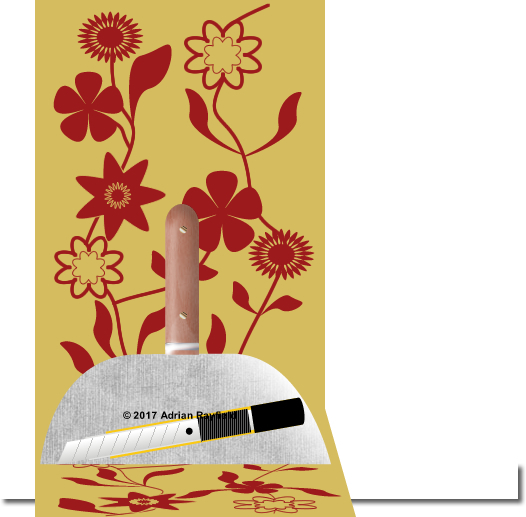 The last thing you want to see are torn ragged edges, so the key to cutting wallpaper is to use sharp tools. Scissors can be used to trim paper, cut paper and remove excess paper as you hang, so a good paper hanging pair of scissors are always good to have to hand when wallpapering. 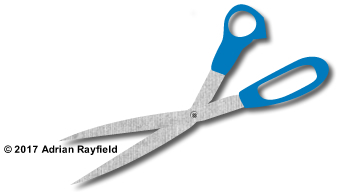 To use scissors to trim the top and bottom of the paper, use a pencil to mark a line where you need to cut making sure the paper is well pushed in. Mark and then lift the paper slightly and trim carefully along the line with the scissors or papering shears. A knife is the most popular choice, and the best type to use are a craft knife or one that has snap off blades. This way you can simply snap an end off and you have a sharp cutting edge again, this should be done regularly to avoid the knife dragging and tearing the paper. 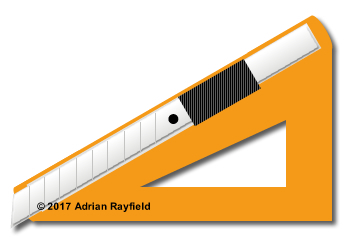 The amount of cuts between each ‘snap’ of blade will depend on the surface you are cutting on to. Wood and plaster will blunt the blade quickly. To trim the paper make sure the paper is pushed well into where the cut will be, then use something like a wide scraper to hold the paper and then cut along the edge with a sharp knife. Having a sharp knife will make life easier and you can trim on one cut. 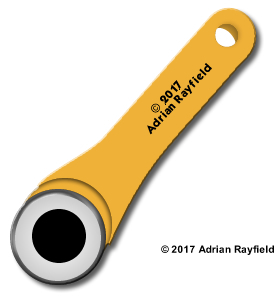 There are a number of other tools on the market such as rotary cutters, battery powered cutters, triangle shaped and wedge shaped cutter. All these tools work on the same basic principle, they use a sharp cutting blade to trim the paper. Some I have to say are more successful than others, and some last better than others but at the end of the day it is personal preference to which tool you prefer to use. If you need to work out how many rolls of wallpaper to buy, why not use our Wallpaper Calculator to do it, it even has a feet to metre convertor. I have recently just completed a wallpapering job for a client. The room was a spare bedroom / playroom. As this room is to serve as a dual purpose room the client didn’t want the room to be too child like, or to grown up. 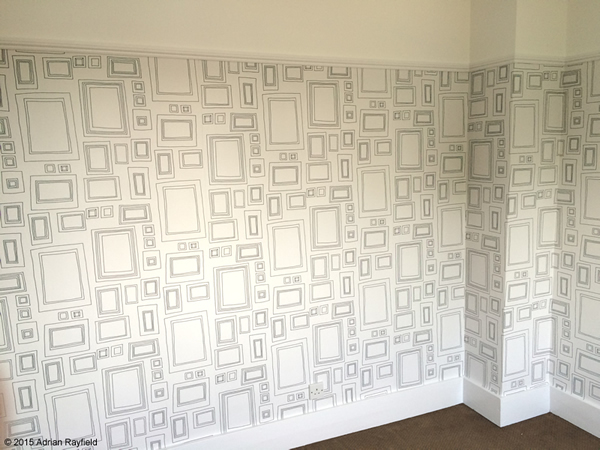 The client looked online and decided on a wallpaper from Graham and Brown called Frames. 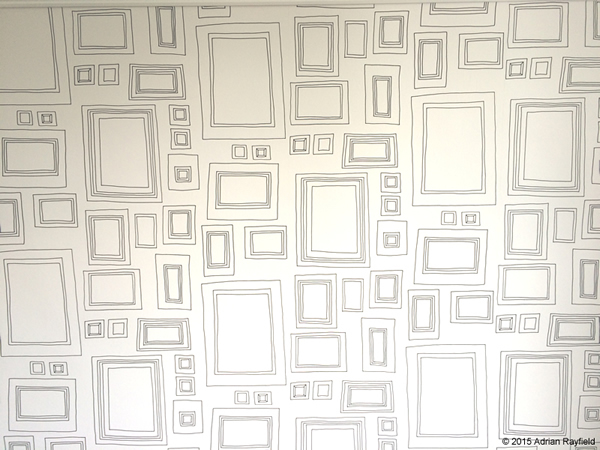 This wallpaper was ideal for the situation it was to be used in, modern and contemporary enough for any adults staying in the room, but also fun for a child. The frames on the paper can be used to stick family photos, postcards, artwork and you can even draw your own artwork directly into a frame to give it a totally unique style. If you do draw directly onto the wallpaper be aware that the paper is only spongeable and anything drawn onto the wallpaper may not come off. The wallpaper is a paste the paper type, as opposed to paste the wall. The soaking time is around 5 minutes. The design / pattern match is free, so no matching up to do. The paper is 52cm wide and the rolls are 10 m long. 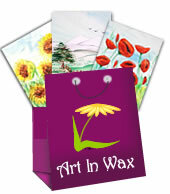 I found the paper easy to hang and the final result was very effective as you can see by the following photos.